150 + YEARS OF COMBINED LEGAL EXPERIENCE AT MONTAGNA KLEIN CAMDEN L.L.P. With Anthony L. Montagna, III, you can be confident that you have an experienced, professional military divorce attorney on your side. Anthony will fight to protect you and your family in your Military Divorce. He knows that every case is important to you, and he will battle for you in court. Anthony and his partners have had thousands of satisfied clients over the years. As a partner at Montagna & Montagna, P.C., Anthony assisted individuals in many fields of law. Over the years, Anthony has handled bankruptcy, debt collection, worker’s compensation, personal injury, family law, DUI and traffic, security clearance, criminal, and corporation cases. As the son of an attorney who served his country proudly on active duty and in the reserves in the United States Navy Jag Corps, Anthony has the necessary experience and knowledge to ensure you get the results that you want. He has practiced law for over 25 years and is well known for his knowledge of the law and familiarity with the judges in Norfolk, Virginia Beach, Newport News, and all of Hampton Roads. In addition to representing individuals who were seriously injured as the result of the negligence of others, Anthony has successfully defended individuals charged with serious criminal and traffic offenses. He has represented men and women dealing with contested and uncontested divorce, custody, and support issues. Anthony is driven to succeed and prides himself on his extensive preparatory research – vital to a favorable verdict. 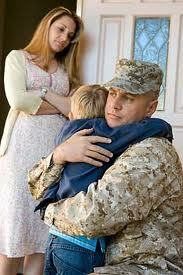 Our military divorce lawyers are familiar with complicated family issues that arise while in the military. Our decades of service to our military divorce clients give us a unique understanding that you cannot find at other law firms. We are very knowledgeable about the complex issues involving Thrift Savings Plans (TSP), survivor benefit plans, and division of pensions. We appreciate your service to our country, and we look forward to representing you. We encourage you to call Anthony Montagna, a highly skilled lawyer in Norfolk, Newport News, Virginia Beach and all of Hampton Roads We are dedicated to providing representation that will satisfy your demand for excellence. With all the stress you experience on a daily basis while safeguarding our country, we want to ensure we minimize your stress and worries by providing you the results you deserve. The divorce lawyers at Montagna, Klein, Camden understand that everyone does not have unlimited money. To help you from the very beginning, we offer a free consultation and make payment plans available to our clients. Most importantly, we offer discounts to our military men and women. Each marital separation involves a host of specific issues that only a personalized strategy can address. Military divorces carry the same complexities as civilian divorces while adding unique issues and demands. At the law offices of Anthony Montagna, he takes time to sit down and discuss these issues specifically with you before recommending a strategy. Call our Hampton Roads military divorce lawyers for a free consultation to discuss your case. Get the fair treatment and respect you deserve during your military divorce. Call 757-625-3500. Our lawyers have successfully resolved disputes for military members who work at the Norfolk Naval Base, Little Creek, Oceana Air Station, Norfolk Air Station and Langley Air Force Base. We are familiar with the complicated family law issues that arise while in the military. Our attorneys can help you with common divorce issues — such as child support and spousal support/ alimony issues, child custody and visitation — as well as questions specific to military divorce. Our decades of service to our military divorce clients give us a unique understanding that you cannot find at other law firms. In almost every case, there are issues that you may not have fully addressed during divorce or situations that have changed since divorce. That is why we continue to represent you, even after your divorce. When court orders need to be modified or enforced, we can help. YOU ALSO MAY BE INTERESTED IN OUR MILITARY DIVORCE FAQ’S. Contact Montagna Klein Camden, L.L.P. The attorneys at Montagna Klein Camden, L.L.P. offer a free initial consultation where you can sit down with us to talk about your military divorce / marriage dissolution. Contact our law offices, in Norfolk and Newport News, Virginia, today. Call us at 757-625-3500.